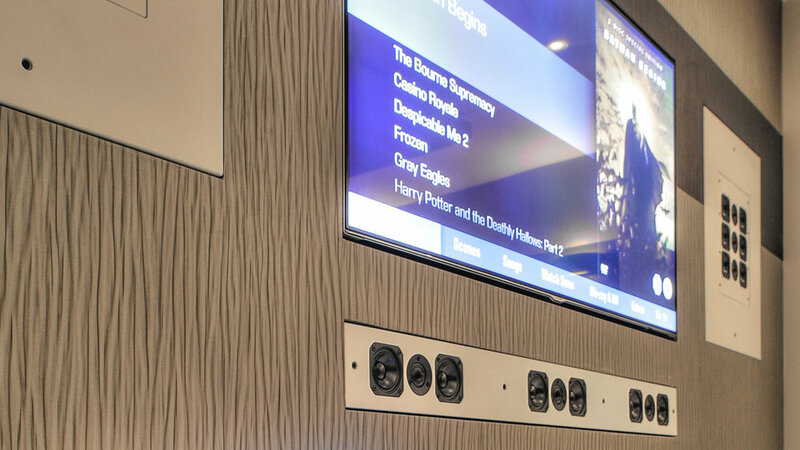 Congratulations go to Kevin, Angus, and the team at New Wave AV, UK, for another outstanding project, and February's Artcoustic Installation Of The Month! This relaxed and informal room is perfect for family and friends to settle down and watch the latest big TV event, sporting occasion or movie. Gaming is a big thing too for this family, and is incredible on the big screen. The audio is delivered from two Artcoustic 65-50 SL 6-3s either side of the TV with a Multi Soundbar SL for the centre channel and Spitfire Control 2 subwoofers.